Relax and have a well deserved cup of Dark Choc’N’Mint hot chocolate. The richness of the dark chocolate fused with the mint complement each other greatly, simply stir the spoon in hot milk and wait whilst the 30g of rich and textured dark chocolate dissolves to make a delicious hot chocolate drink. Cocoa Loco chocolate is Soil Association certified organic and carries the Fairtrade Labelled mark. Dark chocolate containing cocoa solids 55% minimum (cocoa mass, sugar, cocoa butter, vanilla powder), peppermint oil (0.07%). May contain milk and soya. Made in a kitchen where nuts, wheat flour, oats, eggs & sesame seeds are used. The Cocoa Loco Hot Chocolate Spoon - Dark with Mint - 30g product ethics are indicated below. To learn more about these product ethics and to see related products, follow the links below. Afraid I couldn't resist licking it like a lollipop! 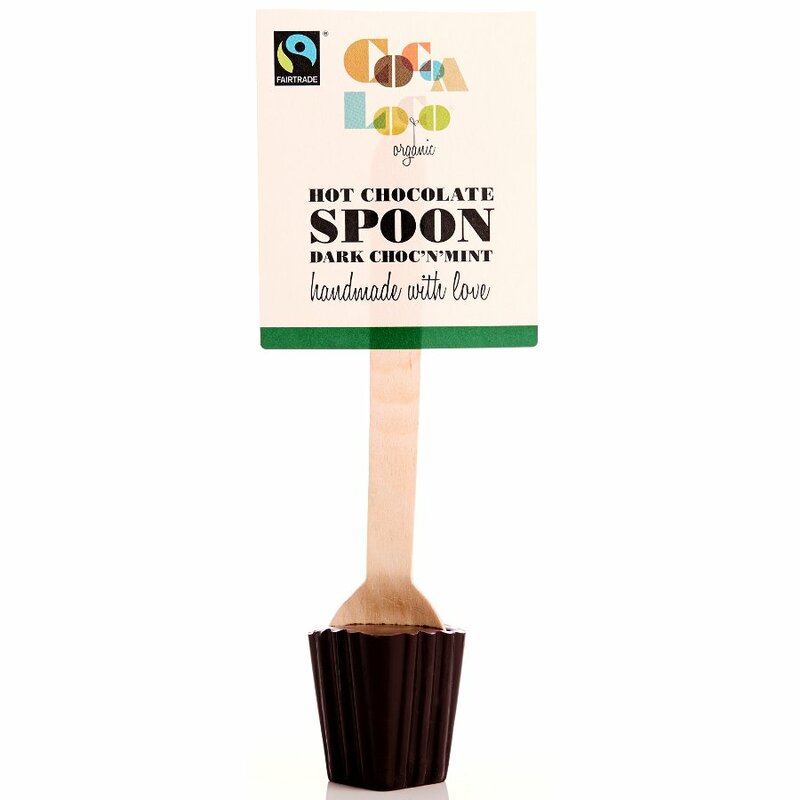 There are currently no questions to display about Cocoa Loco Hot Chocolate Spoon - Dark with Mint - 30g.